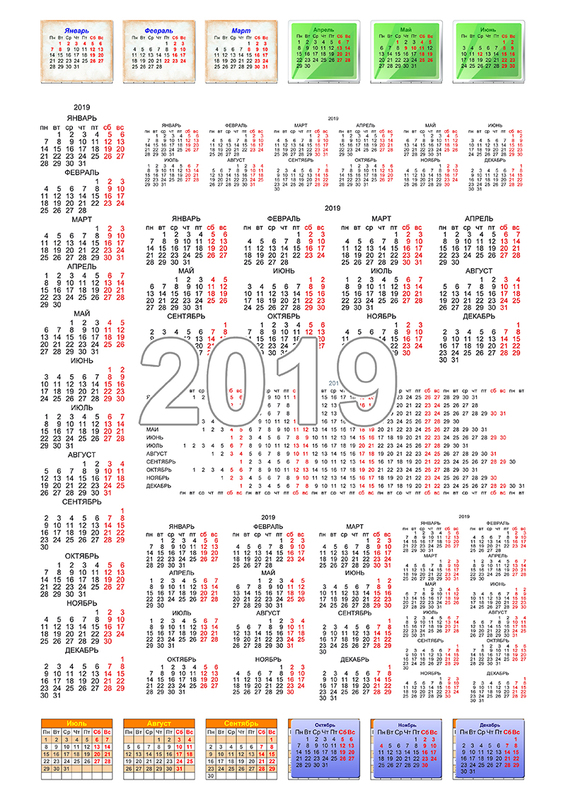 Set of calendar grids for 2019. 31 calendar grids. Calendar grids in PDF and PSD format (easily opened and edited in Photoshop). In the set there are the following options for calendar grids: in 1 row, in 1 bar, 2 rows, 2 bars, 3 bars, 3 columns with a design, 4 bars, a solid vertical calendar - only 31 calendar grids. The color of the digits is black, and the days off are red. Attention! After payment you will receive a link to download the file. Files are on Yandex Drive. In case of any difficulty please contact me via the link ask seller a question on this page and I will decide your problem within 2-8 days.